When I first reviewed the list of contenders for PBS’s series The Great American Read, I may have strained an eyeball from rolling them so much. It was an eight-part TV series exploring the power of reading, through discussions of America’s 100 “best loved” novels, which had been selected through a national survey. According to the show’s website, over 7,200 people were polled, then the producers curated the list to 100 works of fiction (the goal of the series was to identify America’s most loved novel.) There are novels on the list which I agree are overwhelmingly considered American classics, and then there were a few that made me wonder who in the world would nominate it for such a list. I’m talking trendy titles should never in a million years be considered a good book, let alone an American classic. 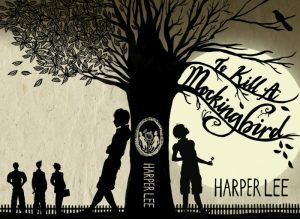 But I digress…The final episode aired on October 23rd so I learned of the winner the next day via social media: To Kill a Mockingbird by Harper Lee. My sigh of relief could be heard for miles. 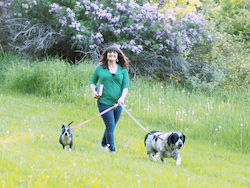 I didn’t watch the series, and while I did go online to vote for my favorite novel, The Lovely Bones by Alice Sebold, otherwise I didn’t have anything invested in the contest. But still, for some reason I didn’t want to discover that Americans had chosen Gone Girl or Fifty Shades of Grey as our greatest work of literature. And while TKAM wasn’t my vote, it’s a novel I’ve read multiple times and have adored since my first reading during my Freshman year of high school. I believe it’s an ideal representation of American literature and how a story can resonate with generation after generation of readers. If you haven’t read it since school, I highly recommend you give it another read, regardless of what you thought in the past. While I loved it both of the times I read it, I connected with the. characters and the story on a completely different level as an adult woman than I did as a young person. 1. It’s full of humor. You might not have picked up on this during your first reading. Through Scout’s eyes, we see the world with a dry sense of humor that young readers might miss entirely. 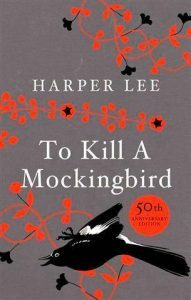 When it was published in 1960, TKAM was an overnight success, and was awarded with the Pulitzer Prize in 1961. Issues of racial inequality had already been brought to the forefront of public conscience. While there have been significant gains since the 1960’s, our society still has a long way to go. While Scout’s narration provides negative observations about the residents of her town, the message of the novel is overwhelmingly positive. Despite the tragic events that occur in the novel, the reader is left hope for the future. 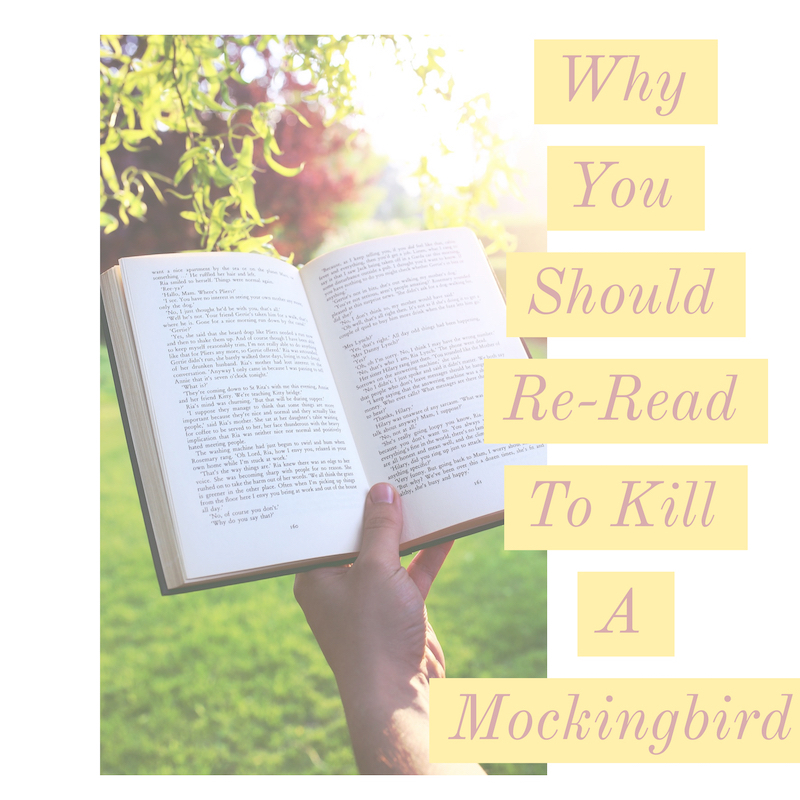 Plus, a study in the UK found Atticus Finch to be the most inspiring literary character. 4. It’s important to read banned books. Most banned books suffer their fate because they are misunderstood. Banned Books Week occurs each year to encourage these titles be re-read and applied to current standards. 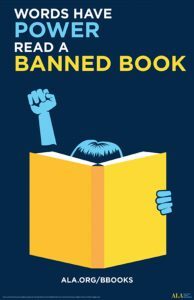 When we read banned books and talk about them, we are recognizing their importance and keep them relevant. 5. It will make you re-evaluate your actions and relationships. 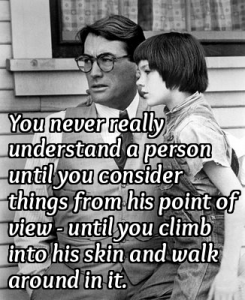 Reading TKAM prompts me to reflect on empathy, compassion, and courage. And it makes me want to discuss these concepts with others. It’s a book that can make us better citizens of the world. Perhaps that’s the best reason of all to pick it up again! Sign up for book recommendations, reviews, author interviews and more! My mission is to get you out of your reading comfort zone! I can recommend the “right” books for whatever you're facing in life. I weed out the overhyped trendy titles. By sharing my experiences, I will lead you to a richer reading life. Share book reviews and ratings with Ramona, and even join a book club on Goodreads.